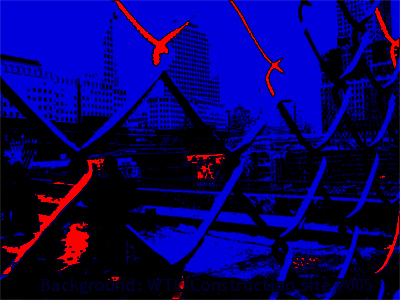 Pictured repeatedly throughout this site is an image of World Trade Center ground zero while under construction. We will never forget the victims and their families and we dedicate this website to all the victims of our post 9/11 world. The purpose of this site is to offer some simplification to the pursuit of truth about the political world we live in with the hope of facilitating the inevitable global awakening the world is headed toward. This site does not claim to offer end-all proof and explanations to all the issues, but it offers information for you to look up and see the big picture of global corruption and the plan by the deep state to overthrow the sovereignty of Nation States as well as the individual so that THEY (the globalist) can have eternal unchallenged power over all of humanity. As truth seekers we have an obligation to look at all evidence regardless of where it leads. We believe the principles of critical thinking and dissent against potentially corrupt governments (think Obama administration) as well as defense of our government (think Trump administration) are fundamentally necessary, patriotic and required to uphold the principles of the U.S. Constitution against all enemies foreign and domestic. I believe that history teaches that government systems if left morally unchecked in the hands of men who answer to no one are dangerous and will always resort to evil and destruction. Left unchecked as we saw during the Bush-Clinton-Obama years, government systems will turn its oppressive power against the people over time. For this I/we are grateful for President Donald Trump and his family and what they have done to help restore America. The founding fathers understood this natural process of governmental corruption and created a series of constitutional agreements meant to act as a protective shield against tyranny and oppression at the hands of governments. The Patriots in our military who asked Donald Trump to run for president ALSO understood this. They understood that this is a normal cycle of humanity that must be guarded against, exposed and kept in check. Welcome to the STORM. We live in a society bombarded with entertainment and disinformation that is overwhelming to most of the youth. From a very young age many children are already addicted to television and entertainment. I believe this was a Globalist/Communist well planned systematic scheme for brainwashing and dumbing down the youth. Given the massive amounts of disinformation and confusion our youth is subjected to, upon first launching this site I intended to offer a more charismatic site that the youth can refer to for some guidance on some of the most important issues of our generation. Throughout this site I also reference other sources for the viewer to follow up on and do their own research. The fact is that the truth about many of our modern day events is profound and presents a challenge to anyone who has never considered these possibilities. To help someone understand the big picture I highly encourage them to read the Q drops provided by the Trump team starting on October 28, 2017. The Military Intelligence operation that many people are following as Patriots in the U.S. Military working with President Trump have been providing the highest Military Intelligence information ever shared with humanity on this platform. I also hope when people read the Q drops and see the videos I've produced about the Q drops and then go back and read the articles from years ago all the way up to today that this will provide others the opportunity to see and understand the big picture. All links, videos and articles are linked consistent with Fair Use Laws and is not intended to violate any copyright laws. Bernie is a revolutionary writer with a background in medicine, psychology, and information technology. Bernie also has a background in video production and music and today the Truth and Art TV Youtube channel which he pioneers has proven to be a force leading the charge in the Great Awakening that is happening throughout the world in the Trump lead populist era. Bernie is also the author of The Art of Overcoming the New World Order a book written during the Obama years and written with perspectives appropriate to the times. Bernie provides a lively perspective of the corruption that was so deeply embedded in our government during the Obama years and shows us how to free our minds of this enslavement. Bernie has produced many videos and articles over the years about freedom, government and corporate corruption and conspiracies as well as solutions. Bernie is also a former U.S. Marine Cannoneer (3rd Battalion 11th Marines) who believes it is our duty to stand for and defend the U.S. Constitution against all enemies foreign and domestic. He believes information and awareness is the first step toward being free from the deep state thought police control system which now threatens humanity. Bernie has stepped in as a soldier to fight alongside the Patriots inside the Trump administration and U.S. Military. Humbly serving his country as a digital soldier and trusting the plan that is motion as Trump's Q team has told us. He believes in God and keeps the Holy Scripture as a guide in these historic times. He believes love conquers all fear and it is up to each and every one of us to manifest the solutions and the change that you want to see in this world because trusting God and choosing to be the change and taking action to take back America and humanity together is what will ensure victory and restoration of the human race and offer hope to future generations. A special thanks to President Trump for what he and his family are doing to restore our Republic and restore power back to the people.